An employee’s illness or sudden injury has ramifications for their personal well-being and their workplace. The Americans with Disabilities Act (“ADA”) of 1990, Virginians with Disabilities Act (“VDA”), and Virginia Human Rights Act (“VHRA”) place affirmative obligations on employers when addressing disabilities. The following should be kept in mind for employers who have disabled or ill employees. 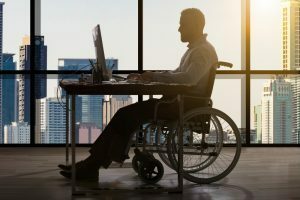 The ADA applies to employers with fifteen (15) or more employees while the VDHA applies to employees with between five (5) and fourteen (14) employees. Each request for reasonable accommodation should be prompt and ample consideration. If an employee asks to deviate from their typical duties because of a disability, the law requires that the employer “engage in the interactive process.” This means that a request for a reasonable accommodation should be reviewed and analyzed both promptly and thoroughly. Failing to look at or answer an employee’s request can be considered a violation of the law. Examine the request and how it relates to the employee’s current job duties. Under the law, a disability is defined as a “physical or mental impairment that substantially limits one or more of the major life activities of such individual; a record of such an impairment; or being regarded as having such an impairment.” This is not a fixed definition. For example, an individual who has a heart attack whoever can perform all major life activities (i.e. : walking, thinking, working) would likely not be considered a disability under the law. That being said, an employer is required to assess what (if any) modifications to the employee’s job duties can be provided meet the reasonable accommodation request. An employee with a disability must still be able to perform the “essential functions” of their job. Examples of possible adjustments to job duties for purposes of a reasonable accommodation include schedule changes and different equipment to assist with performing job duties. Establish an internal policy for addressing requests for reasonable accommodations. The law requires fair treatment for all requests for reasonable accommodations. Establishing a clear and practical way to address all reasonable accommodation through a written policy makes it accessible to both employees and managers while eliminating uncertainty. This policy can be published in a handbook or internal memorandum. Unclear as to whether your approach to a request will pass legal muster? Need help establishing policies that will assist employees and promote a functional workplace? Contact legal counsel to prevent liability issues in the long term. Have a question about this or any other employment matters? 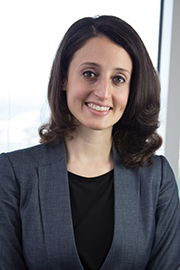 Contact Theodora Stringham at tstringham@offitkurman.com or 703-745-1849.